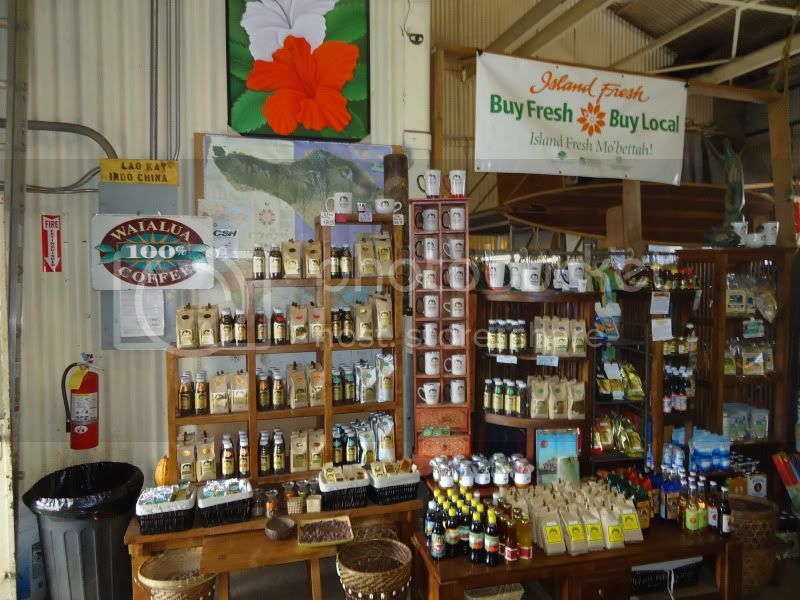 Located near the North Shore of Oahu, the historical Waialua Sugar Mill is home to more than 30 different local shops and factories. Everything here is made in Hawaii- perfect for those looking for a unique Hawaiian gift to take home. 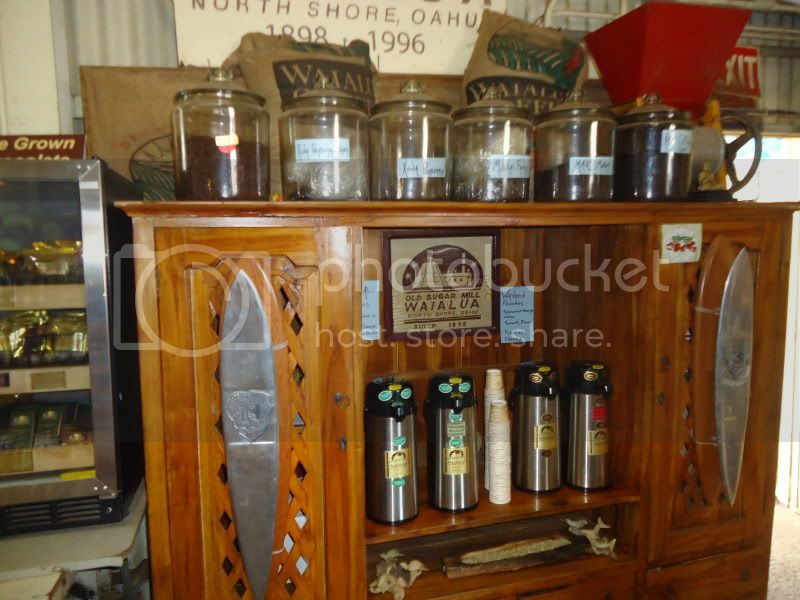 The list of tenants consists of Surfboard Shapers, Glassers, Artists, Industrial, Natural Soap, Natural Snack Foods, World famous Waialua Coffee, and handmade chocolate from cocoa beans grown on site. 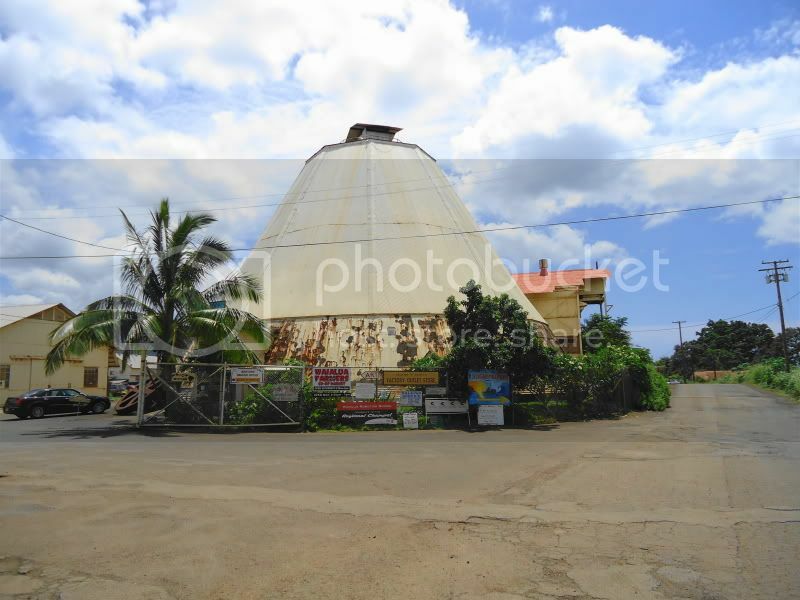 Most of the buildings are open to the public with great shopping areas full of rich history and pictures of the sugarcane past. 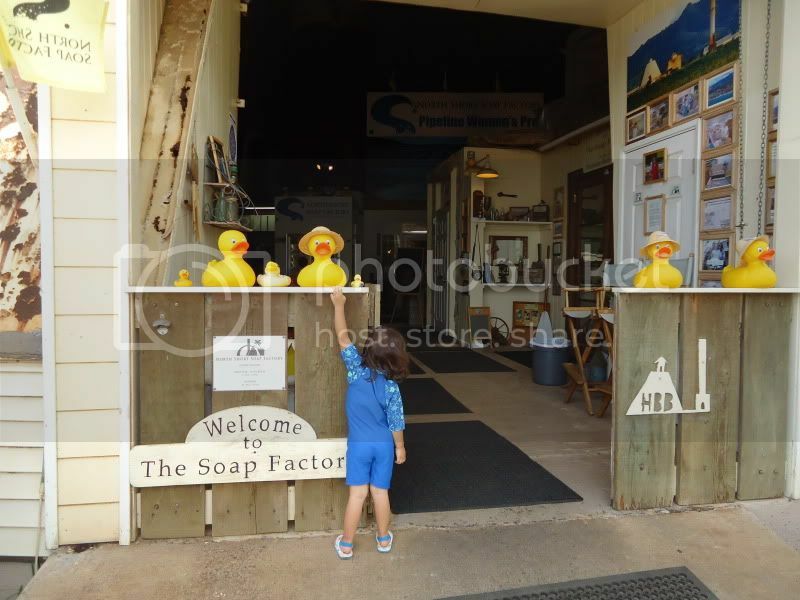 The most popular shops at the mill are the North Shore Soap Factory, Island X, North Shore Country Store, and the Waialua Farmers Market. 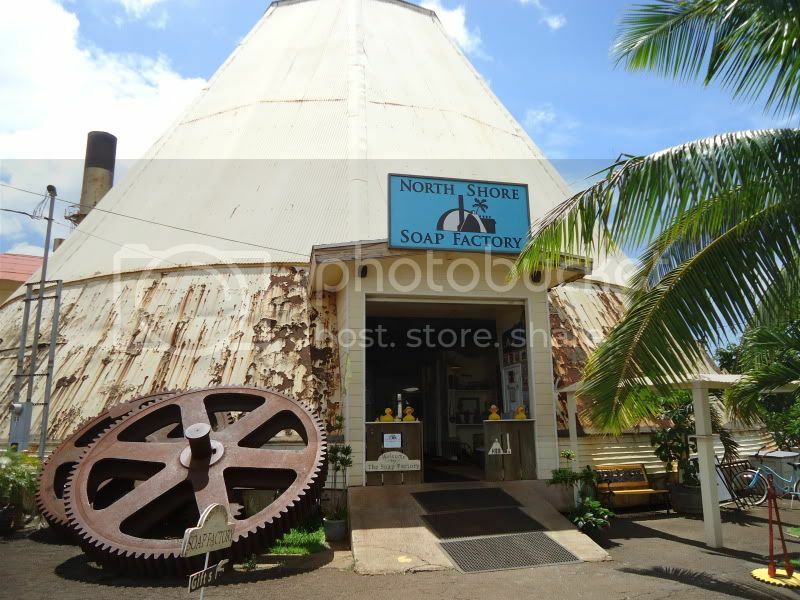 North Shore Soap Factory is essentially a Hawaiian version of Bath and BodyWorks. Their handcrafted soaps each contain unique island-grown ingredients such as Hawaiian Kukui & Macadamia Nut Oils, honey, papaya, tangerines, coffee, & guava. Many products also feature organic ingredients such as organic oatmeal, rice flour, blue cornmeal, and organic spices. The lobby in the store features all kinds of historical photos and memorabilia of the sugar mill. 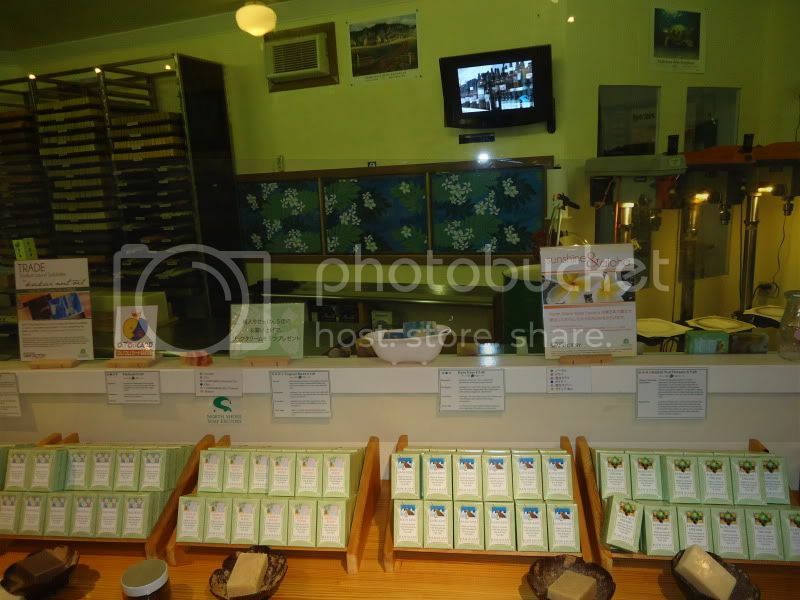 Inside the store, visitors can get an idea of how their all natural soaps are made. 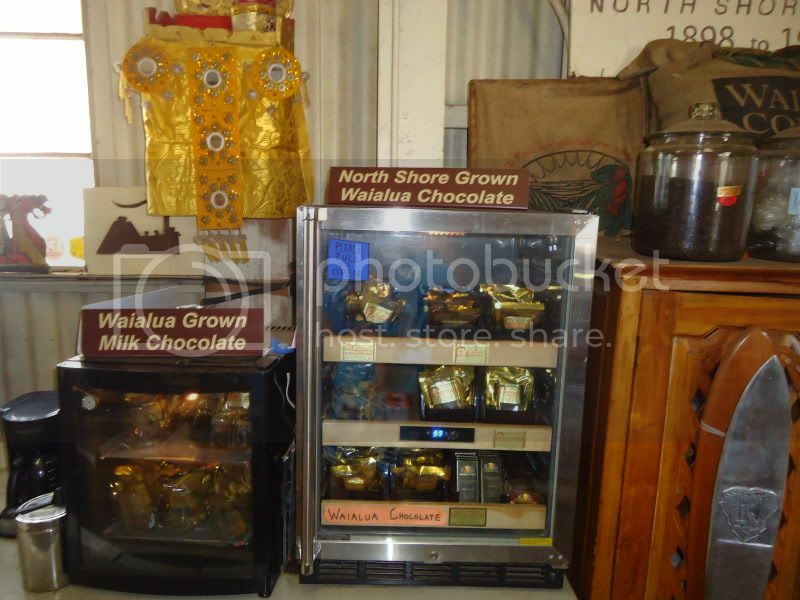 Next to the Soap Factory, the family can check out Island X and sample some Wailua Coffee or delicious handmade chocolate. Island X actually produces the coffee Dole Plantation Sells. As the photo depicts, a lot of attention to detail goes into making these handmade chocolates from the temperature they are stored in, to their packaging. The end result is chocolate that will take your breath away and rivals some of the best chocolate artisans in Europe. Free samples of their coffee produced from beans grown on site. The soil in the area gives the beans a distinct smoothness with minimal acidity. In my opinion, this is some of the best coffee in the world. In addition to their great coffee, Island X also sell local gourmet items that would make a great gift to take back home to loved ones you won't find anywhere else in the world. Out back behind the store, mini tours are offered explaining how the coffee and cocoa beans are produced to make some of the world's finest coffee and chocolate. They even have a cocoa pod out to see where the beans come from. 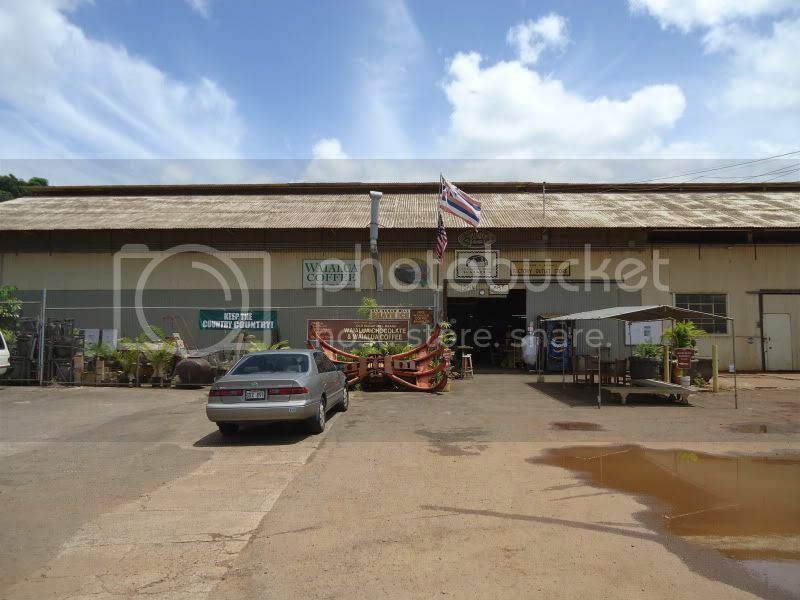 The Waialua Sugar Mill provides great shopping on the North Shore of Oahu local style and is a highly recommended stop while visiting the surrounding area. 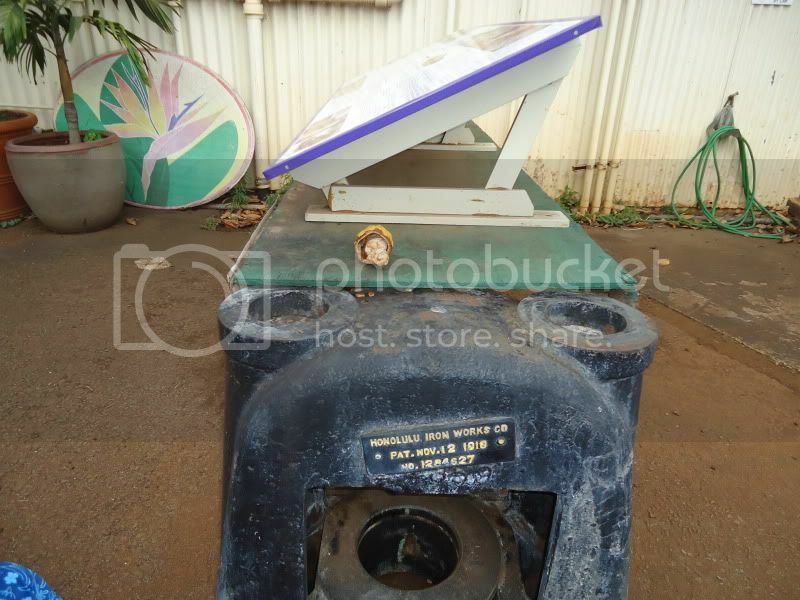 Directions for shopping in the Waialua Sugar Mill. If your coming from Haleiwa come down Waialua Beach road and turn left on Goodale Ave. 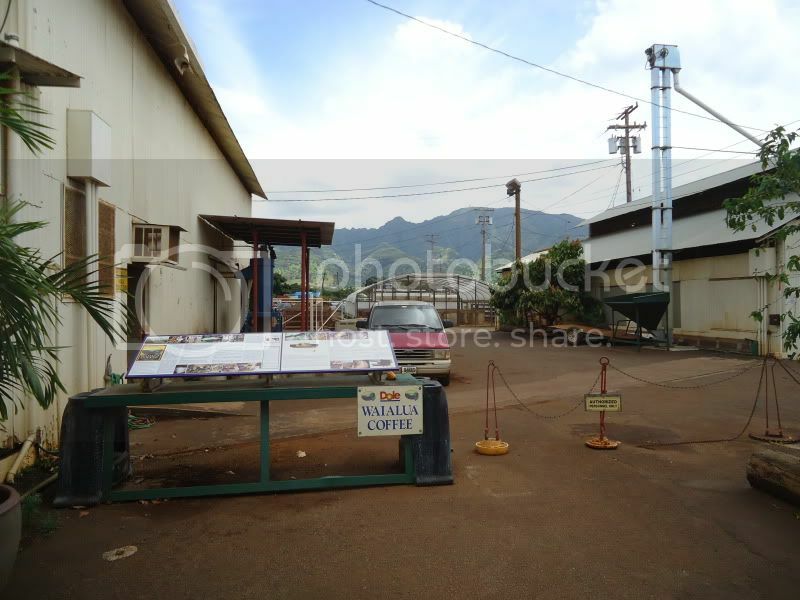 Turn right on Kealohanui St. and you are at the front gate of the Waialua Sugar Mill. 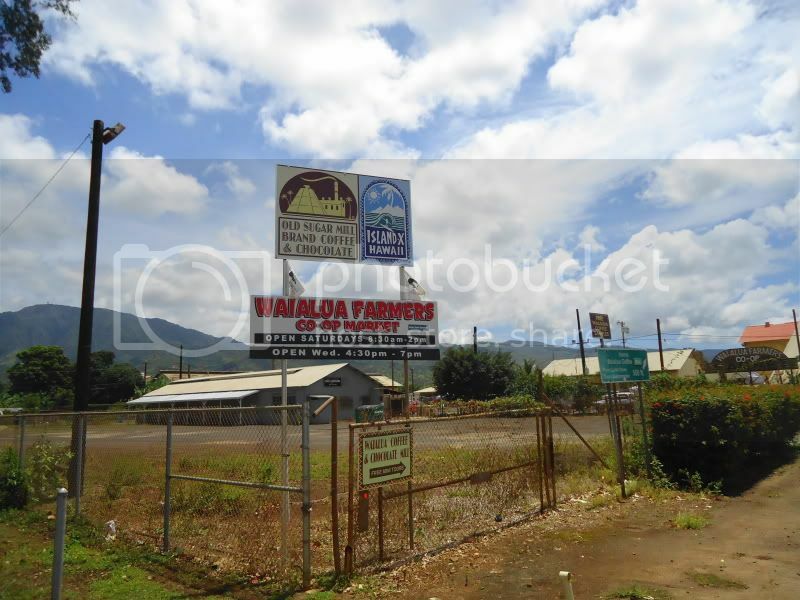 If you are coming from Honolulu side, follow the H2 to the town of Waialua. Pass Eric's gas station and go to the right at the traffic circle. This road has no signage but it is Goodale Ave. Start looking for the smoke stack and turn left at Lulu's lunch wagon. 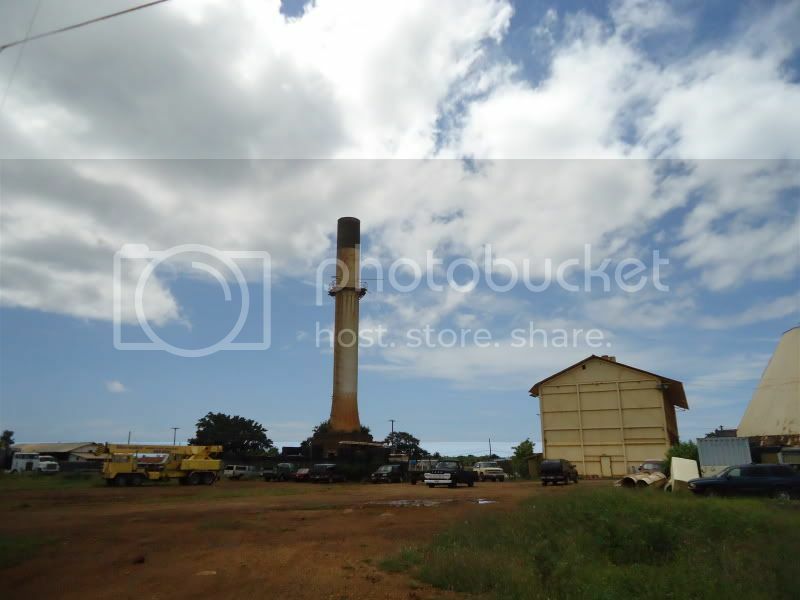 Your now on Kealohanui St. and you will see the large sugar mill buildings at the front of the park.